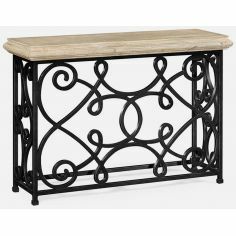 The stylish four post console offers a perfect balance of form and functionality that complements modern decor styles. 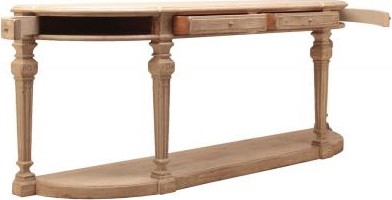 Made up of pine wood, this furniture is enhanced in sober matte finish. 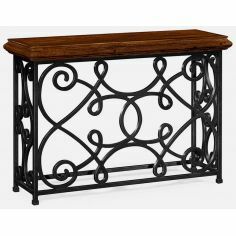 It features four drawers accented with matching knobs, making it seamless organizing your essential commodities. 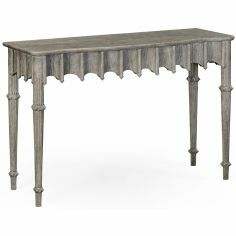 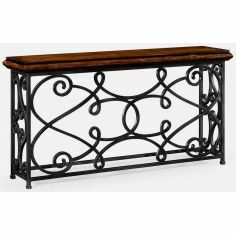 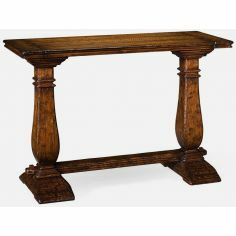 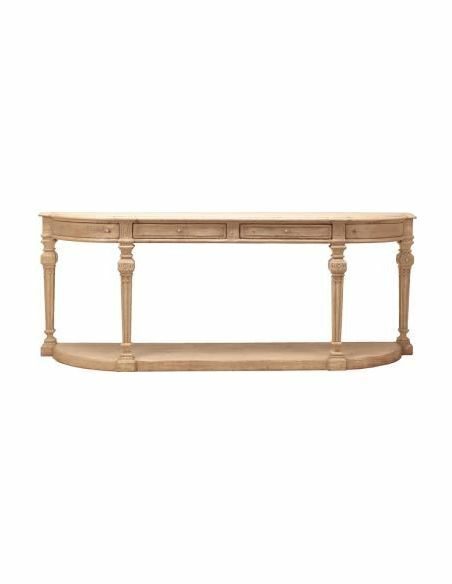 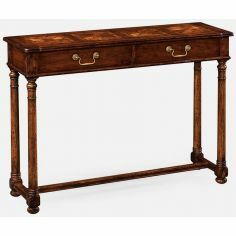 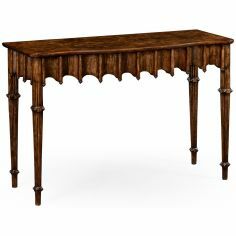 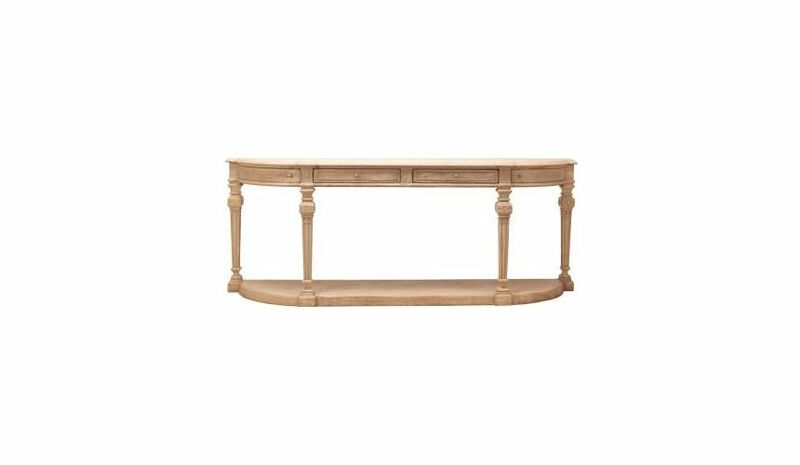 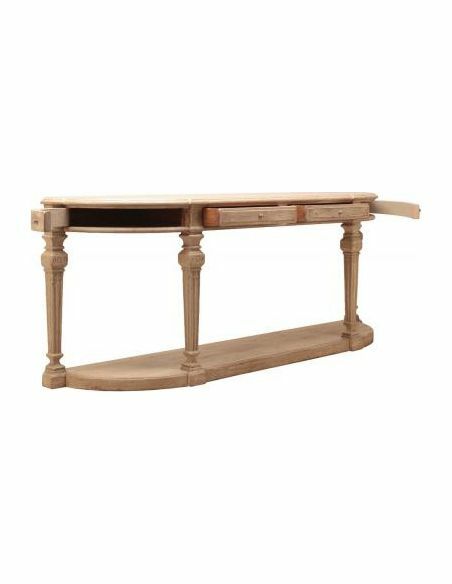 The fluted legs fixed on a curved bar provide firm foundation to the console.